That was 21 years ago, he says as the taxi nears my destination. My handball-champion driver says he lives in dread considering that one day in the future he will be expected to give the eulogy at his elderly father’s funeral. Do you label your public-speaking ability or leadership style by a single experience? During the recent Fine Gael debates, one of the candidates stated: “I am what I am” when asked about himself. Are we? Is it that all there is? “I am who I am” sounds like a passage from God in the Bible or Popeye in the cartoons,” retorts Alan Weiss, PhD, an American thought-leader in career coaching and consulting whom the New York Post describes as “one of the most highly-respected independent consultants in the country” and whom I interviewed via email. His latest book, co-authored with another notable American executive coach, Dr Marshall Goldsmith, is Lifestorming, Creating Meaning and Achievement in Your Career and Life. Between the two of them they have written more than 100 books on human behaviour. Your past does not define your future. I hear that prefix all the time, too. Of course, experiences from our past may be part of our story. But we can learn from them and move forward. They do not need to define us. I would expand upon that adjective by adding, fearful, or timid, or cynical, or whatever other limiting label we – or perhaps others – may attach to ourselves. We do not have to stay married to it. If a personality label is holding you back, take action to start unloading it now. “Character can be developed. Lifestorming identifies six building attributes which can be improved on with respect to others,” Alan says. For instance, I met Alan four years ago, when I was living in Italy. I had read a couple of his books and reached out to him to say how much I appreciated what I had learned. A few months later, he and his wife came over on summer holiday and I caught up with him in the marbled lobby of the Four Seasons in Florence where they were staying. He didn’t take me up on that coffee, but he did give me invaluable advice. Understanding that my inability to speak Italian at a professional level was limiting my ability to properly network and develop my own consulting business, Alan encouraged me to seek out an English-speaking country. I did. And now, after two years living here in Ireland, it has made a world of difference. I am grateful. So, to my taxi-driver, don’t wait until your father is dearly departed. Take charge of your fear of delivering a speech in public. Write a rip-roaring eulogy for your dad. Invite over loads of friends and family. Present your speech to everyone gathered while your dad’s alive to hear it. He’ll thank you for it and you will thank yourself for taking the step toward changing your personal outlook. What is your limiting label? What can you do today to shed it? 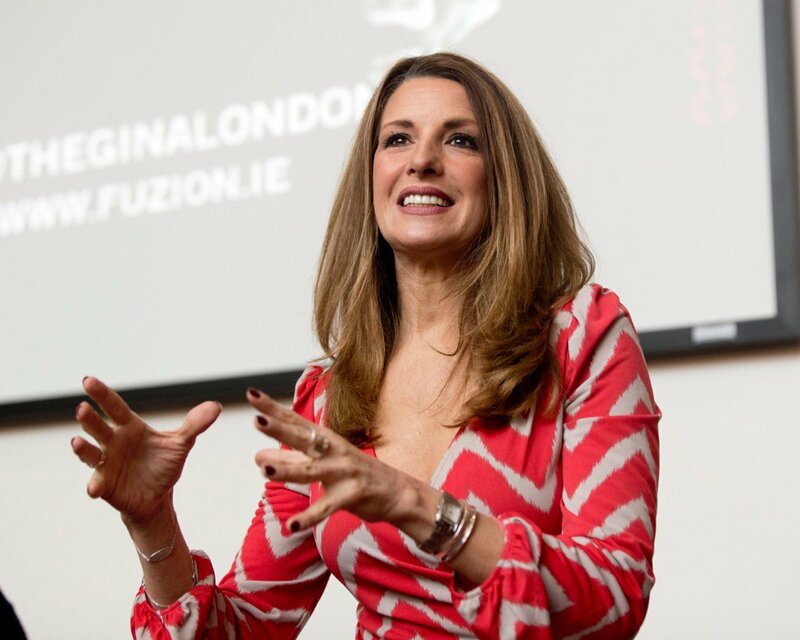 From presentations, to one-on-one scenarios, from spoken to written if you have a question about communications that you would like me to deal with in my column in the Sunday Independent please send me an email at gina@fuzion.ie . Today I am going to talk about likeability. It’s something you should strive for when you’re presenting in a business setting. Practically every business communication event involves selling something. If not directly a product or service, then at the very least, a point of view. You are likely hoping to persuade your audience of something or trying to motivate them to do something, aren’t you? Therefore, finding a way to demonstrate that you care about the people with you in the room when you present is precisely the way to encourage them to care for you and your position. Last week, when I emceed the Irish Centre for Business Excellence conference, keynote speaker, psychologist, and author, Owen Fitzpatrick, reinforced this idea as he explained how influence is best achieved when you spend time asking questions of and taking an interest in the other person first. In short, we teach people how we want to be treated. For many, this “be likeable” notion might not come naturally. Instead, we focus on our proof points and logic to carry us through. Sorry, folks, because I do want you to like me but, blech – that is often super boring. But knowing some need a structure to dial up on “likeable”, I teach my clients to apply a logic-based methodology. Derived from communications lecturer JD Schramm of Stanford’s Graduate School of Business, this approach helps you get systematic in your presentation preparation – especially if you’re not naturally inclined to consider others. The methodology is boiled down to three simple letters: AIM. Audience. Intent. Message. In that order. Take a moment to consider who is in your audience. Are they new-hires or veterans? Senior management or the executive board? Women or men? Both? Other? Do they prefer Elvis or the Beatles? PCs or Macs? Coffee or Tea? For my Irish audience, Barry’s or Lyons? When CNN first promoted me to anchor, they sent me to an anchor-training school in Dallas, Texas. I didn’t realise there was such a place. There is. One thing the trainer told me back then in Texas particularly stuck with me. He said that no matter how dry or dense a story may seem, someone out there watching will be emotionally affected by it. “Every story has a ‘hope, dream or fear’ attached to it,” he said. It’s important to try to see the pictures inside their heads. I sometimes ask clients to write their presentation agenda. Next, write a second agenda from the audience’s point of view. Then I have them throw out that first agenda and begin again from the second one. This is what I mean by truly considering the others’ points of view. Your intent is never simply to inform. If you’re just doing that, then you might as well simply put your information in an email and hit the send button. You must be trying to motivate or inspire your audience to some sort of action. Define your goal very clearly. Too often I see this one overlooked. The goal is too broad and ill-defined. What is it exactly that you want your audience to do after you’re finished speaking? Even if it’s just to agree to another meeting. That’s okay. Be very specific. Only after you have dealt with points one and two should you move on to craft your message. Like intent, this must be clear too. Write it down. One sentence! A message is “Brief, Memorable, Repeatable, Emotional and Data-backed“. But it’s not only the data. While supportive, taken stand-alone, data dumps, as I already mentioned, are often dry and boring. Your message is your ‘call to action‘ – your spoken declaration of your written intent, your motivation! State it clearly and state it often. Don’t assume your audience is just “getting it“. If you know your AIM, before you start writing, you will be better at framing and outlining your talk. A client wrote to me just this week proclaiming that he now realises “this isn’t going to be an easy fix. It will take serious effort“. The 82-year-old writer shared that he learned how “to think and speak more clearly” through communications training. He applies the training all the time, including just last Saturday when he said a few words at his 80-year-old sister’s birthday party in London. “Communications training has become a way of life.“, he wrote. To my client and you lovely people reading today: Exactly. Applying AIM and becoming deliberately more likeable to your audience will take time. But I promise, it is worth it. If I go on The Late Late Show and ask the audience to “raise your hand if you’d like to stand in front of everyone else and give a presentation”, how many hands do you think would shoot up? If statistics are any indicator, most of you would literally rather die than get up and speak in public. 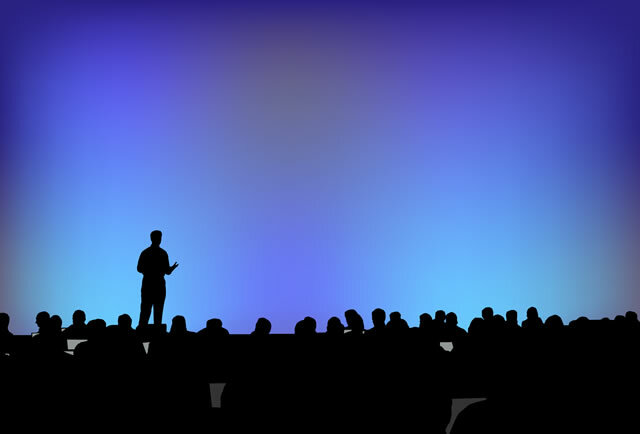 Fear of public speaking, as you may already know, is often listed as people’s number one fear. It out paces the fear of death or the fear of flying. “I love your column and three words that would describe me would be ‘curious’ and ‘confident’ in one-to-one conversations, but a very ‘nervous’ person when it comes to standing and speaking before an audience. 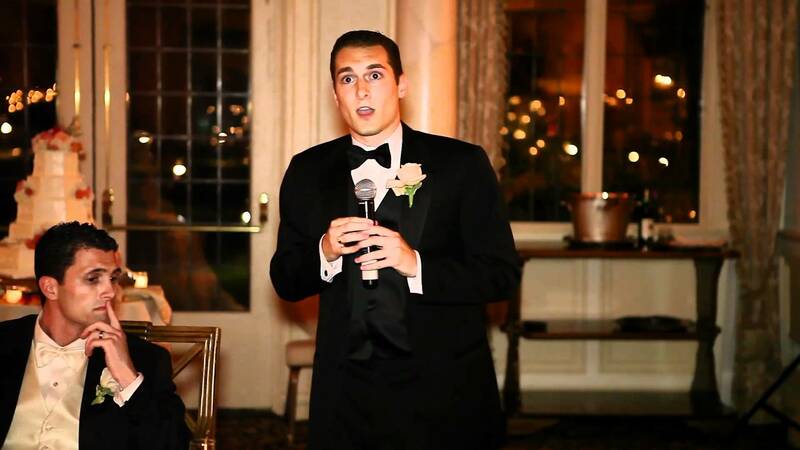 As an owner of a small business, I have occasions to stand and speak about my business. But, to be honest with you, I would rather visit the dentist than give a speech. I know how important it is to the growth of my business but the fear I have of public speaking is just too great. I get very red, my hands shake and I have the dry mouth of a desert. If you’re like some fad-dieters who keep looking for a quick trick to shed pounds (or kilos or stones or whatever), I have to point out there is no magic pill to do that or to instantly shake your stage fright nerves. In an old episode of The Brady Bunch (please tell me you know this show!) Mike Brady tells daughter Jan, who is petrified of giving a speech, to imagine her audience wearing only underwear. I won’t go that far, although you’re welcome to try it for a laugh. But I will tell you that in my experience, every audience — no matter how they are attired — wants you to succeed. That’s a really positive place from which to start. They’re looking to find meaning in why they are there. They want to connect with you. Bear that in mind. Be self-affirming. You step up on stage at 100pc. Don’t wait until the day before you have to speak to write your speech – Give yourself proper time to prepare. When you craft your speech, make sure to consider and address your audience’s interests and not simply your own. What’s in it for them? If you operate on a “brain-dump approach”, that’s fine for your first draft, but revisit it the next day to refine and edit. Get early, honest feedback on your script from a colleague. Remember, too, that the way you write may not be the way you speak. Are you writing words you’re comfortable with? If the words aren’t conversational to you, they won’t sound conversational to your audience. If you want to be comfortable with your public speaking delivery, you must first be comfortable with your written material. This is where you really can combat potential butterflies. You have to practice the same way you expect to deliver. For instance, if you’re going to present standing up, then stand up when you practice. Don’t forget details like voice quality, energy and expression. Many people are uncomfortable hearing the sound of their voice when it’s projected, so they hold back when they practice. That’s a mistake. You should practice as performance-day-like as you possibly can. Smile. Gesture. Get into it. Try to get off-script. You’ll connect better with your audience and that’s the whole point. “I feel like an actor,” one client told me recently. That’s okay at first. Over time, it will feel natural. Years ago, at my first job as a journalist with the Orlando Sentinel, I joined a “Toastmasters” group. With clubs all over the world, Toastmasters members deliver a wide-variety of speeches, receiving structure and encouragement along the way. It was a great experience and one that helped me during my transition to on-camera reporting at CNN. I’ve since enjoyed going back as a guest speaker at Toastmasters clubs including in Lagos, Nigeria, and at the West Cork Toastmasters, one of top performing clubs here in Ireland. So, go on. When I ask, raise your hand. Gina London is a former CNN anchor and international campaign strategist who is now a director with Fuzion Communications. She serves as media commentator, emcee and corporate consultant. As a communications consultant, I work with executives and organisations on improving all facets of communications. Body language is a key component of that equation. Recently I worked with a director at the Ireland office of a large multinational. The organisation’s annual sales conference was coming up and she was preparing her presentation. Together, we watched a video of her in action previously. Or not in action. During this presentation, although she clearly had command of the topic and delivered her words smoothly, we agreed she did not connect with her audience. The video cut out towards the audience and showed their reaction – or lack of it. Most of the people were sitting passively with their arms crossed. Not at all engaged. While my client delivered powerful and emotionally-charged words, her body didn’t match them. Her posture behind the podium was rigid, her face devoid of emotion. Don’t make the mistake of assuming you naturally communicate well in presentations. If you don’t believe this, have someone record you speaking at your next meeting, then watch it – with and without sound. You’ll learn a lot about yourself because we generally don’t acknowledge how much of our communication is done through expression, gesture and posture. Many people in pressure situations hide behind the podium and hold on to it for dear life. If there’s no podium, nervousness may cause them to rock on one foot or shift their weight from side to side. It can be very distracting. If they come out from behind the podium, they may race back and forth. Stage presence is executive presence. I encourage my clients to ‘plant‘. Stand with your legs about shoulder-width apart, plant your feet solidly and distribute your weight evenly. Feel comfortable. Now deliver your introduction in strength and poise while standing still. If you want to address another part of the room, try turning your body from the waist. Lean forward and stretch out your arms to make a point. If you do move, do it purposefully and please stop for a bit before you about-turn. Staging is challenging for many people who either stand like statues with moving lips or run like frightened deer. A client of a large telecommunications company once told me that a former coach advised him to look slightly above the heads of an audience during a presentation. No way! Acknowledge the humans in the room. If you see someone out there you didn’t know was attending, say hello to them. Make the event personal. I sometimes place large photos of people’s faces showing various degrees of boredom (like most business audiences, unfortunately), in empty chairs around a room for a client to practice looking at them. I can always tell if my clients really look if they notice that among the face photos is one of Marilyn Monroe and another of Elvis Presley. Another way to engage your audience with your eyes is by changing their shape – your eyes, not the audience. We do this naturally when we’re speaking with friends. If something is compelling, we may narrow our eyes. With something surprising, or exciting, our eyes become wider and our eyebrows go up. Don’t turn off those lovely windows to your soul when you speak before a business crowd. Your product or service should be exciting too. My client who watched her past video with me was really struck by how unhappy her face looked. Imagine what the audience felt. No wonder they didn’t laugh at her jokes. For most of you out there, smile more than you think you possibly can, and you’ll probably be about halfway there. And, guess what? Even if you don’t feel happy, smiling makes your endorphins kick in so it will help relax you and make you feel more at ease when you present. Oh, and before any of you comment that my column photo “screams negativity” as a friend of mine, who’s a dentist, not a communications expert, wrote to me, please let me add that the study of body language, or kinesics, emphasises three Cs. Pay attention to Clusters, Context and Consistency to help you better gauge others’ intentions and help you become more engaging to those others. Arms crossed doesn’t always mean defensive. So, for your next presentation, remember, your body is not just a vehicle to move your head from room to room. Start practising now in those inconsequential situations – and then you’ll be geared up for the next big communications crunch. Your audience, minus Marilyn and Elvis, will take notice and thank you. 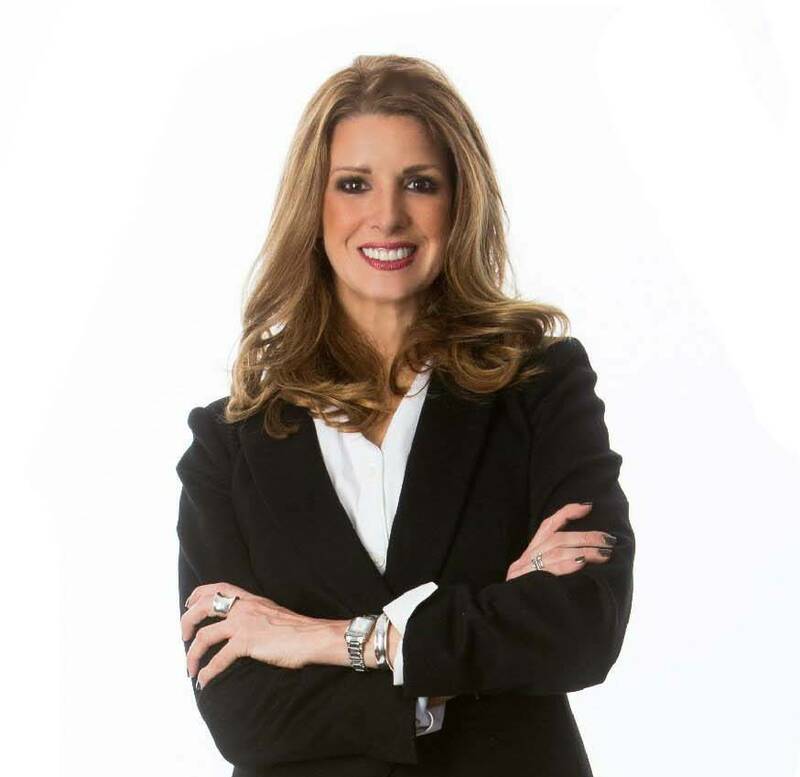 Gina London is a former CNN anchor and international campaign strategist, now Strategic Communications Director with Fuzion Communications. She serves as media commentator, MC and corporate consultant.